Think of a holiday. Or a reason to celebrate. (Everyday!) Yep, there is a pattern in this book for that! This book starts on January 1 and takes you through the year celebrating dates. I'm so bummed I didn't take you through the whole year in photos from the book. There is a new years day necklace, Valentine cup snuggies and a Valentine hot water bottle. Right on to a St. Patricks day beret and a tie. Want to celebrate Birthdays, easter, passover, Mothers day, Fathers day, Summer time, the 4th of July? 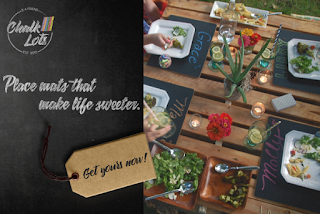 Back to school, off to college, Autumn, Halloween, Thanksgiving, Hanukkah? There are patterns in this book to do just that! Banners, pillows, wearables, you name it. There is a pattern in here for that. And who wouldn't want to ring in the new year giving this champagne cozy to their favorite party host! Celebrate. Celebrate. Celebrate. LOVE the concept behind this book. Sixth and Spring books would like to give a copy to one of my readers. If interested in 50 knitted gifts for year-round knitting, please leave a comment here before Tuesday, December 10 9am EST and I'll have the random number generator choose a number. Looks like a wonderful book with an eclectic mix of patterns! What a delightful way to celebrate every week of the year! Oh, that garland of miniture mittens against the tartan backdrop has won my heart. Please do add my name to your drawing. Best wishes from another knitter! I love the bags and backpacks! Looks like a great book, thanks for sharing! Looks like a fun book. Thanks for the chance to win! What a sweet book! Looks like a knitting adventure! Looks like a fun book. Happy Saturday to you too! Wow! Looks like a great book, all the project photos you posted are beautiful! Thank you for the giveaway. Beautiful designs...and very unique. We'll all be whipping up nine or ten of these before the holidays, haha! But, yes I'd love to be entered in the drawing! 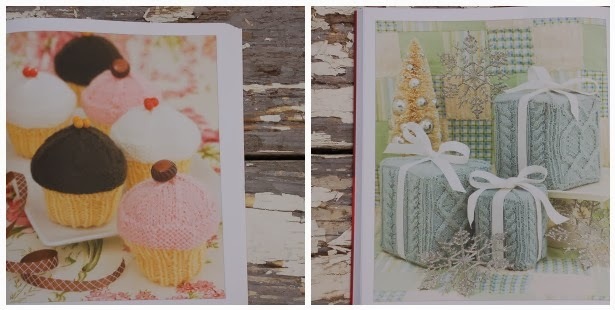 Would love to have this book - adorable projects. I want to do everything!!! Add my name, please, that looks like a great book! I love those grey mitts. Very cute. My niece bought this book the other day and I thumbed through it. There are a lot of great patterns in it! What a fun and useful book to own! This book looks like it would be a fun one to own! 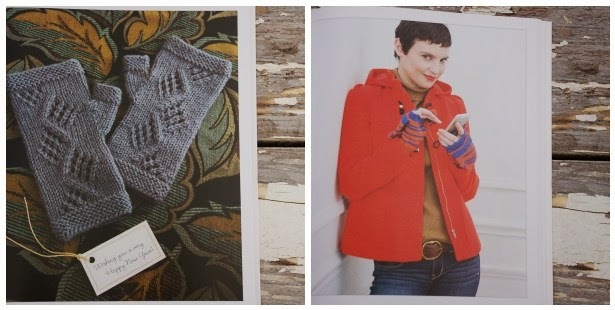 I would never have thought of some of these knits...what a great book. I love this book!! Thanks for the chance to win it! another great book of patterns..Im dreaming of a win! Would love that book. Love giving knitted gifts! Ooh there are some great ideas in this book! Looks like a great book with some very interesting projects. Thanks for the giveaway! I love those grey mitts. Thanks for the giveaway. This book seems to have a great collection of patterns. Thanks for the chance to win this. Nice variety of projects. Thank you for the chance! A nice book for any library. Love the tiny mittens with the plaid background. Looks like an awesome book. I am a new knitter and am very excited to jump into some new projects. So much fun all these giveaways. Just looking at the pics gives me ideas of what to do next!! Especially love the champagne cozy! 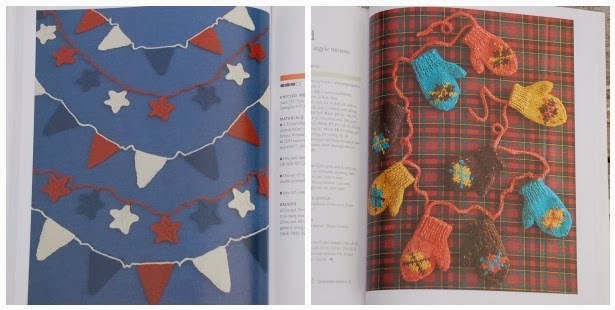 I've heard of cookbooks for every holiday, but not a knitting book for each...what a great idea!! It looks like a book with something for everyone! Thanks for the chance! Looks like a great book- would love it! I need this! 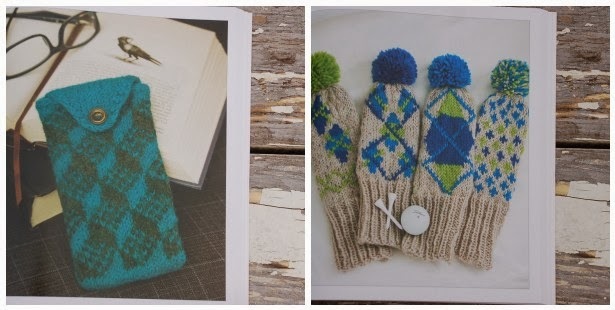 Having everything you need in one knitting book is genius! Love all the wonderful projects. Looks like a very useful book that everyone should have. 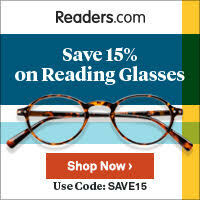 I love books with lots of small gift ideas! Would be great to have right now! This looks awesome and loads of fun! What a great idea! Oh, yes! Love the mitten garland!! what a great way to celebrate--more knitting! Thanks for the chance to win what looks like a fantastic and fun book! What a great book...and a great giveaway! Thank you. Ho fun, and this book is such a good idea! What a great idea for a small project book. Looks terrific. HO HO HO I would love for Santa to bring me this book. Beautiful. Please add my name to this giveaway! Such a great book!!!! 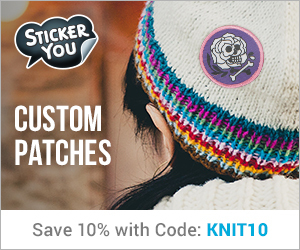 Wow, what a great idea for year round knitting! I could use this book and would give it a wonderful home! Today is my 19th Anniversary!! This would make a most excellent gift! I would love this book! Thanks for hosting a giveaway.